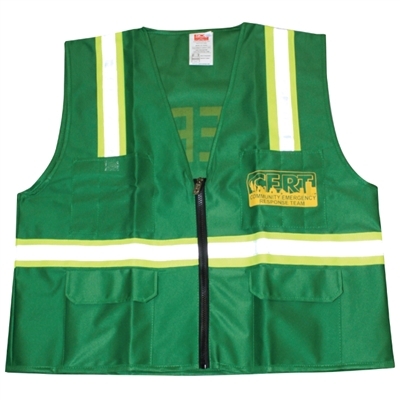 This Deluxe Safety Vest provides superior high-visibility and functionality for CERT professionals. • 4 front pockets for easy storage of essential gear. • Vertical and Horizontal High-Visibililty Lime trim. • Vertical and Horizontal High-Reflective silver tape. 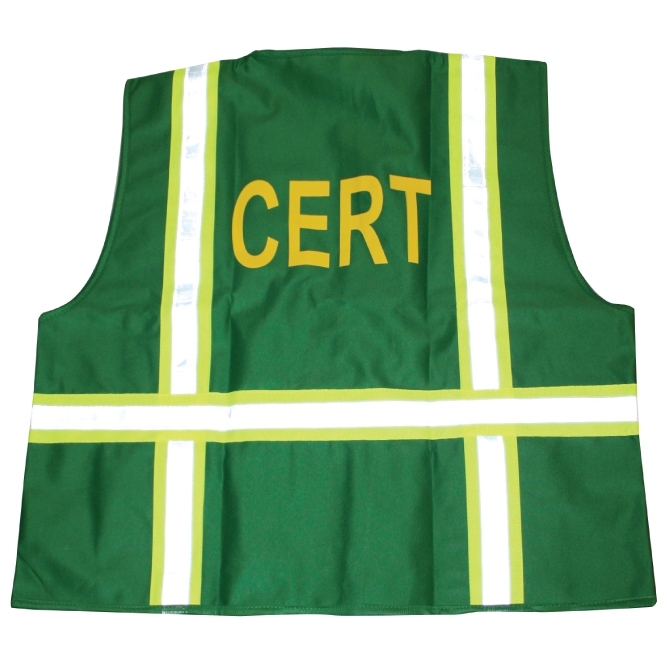 • CERT printed in yellow letters on back.